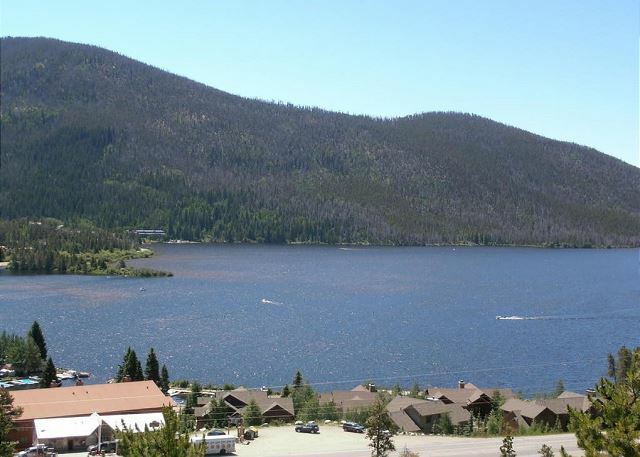 This immaculately decorated 2 bedroom unit boasts the most premier view in Grand Lake. As soon as you enter, you will be immediately drawn to the oversized patio with panoramic views of Mt. 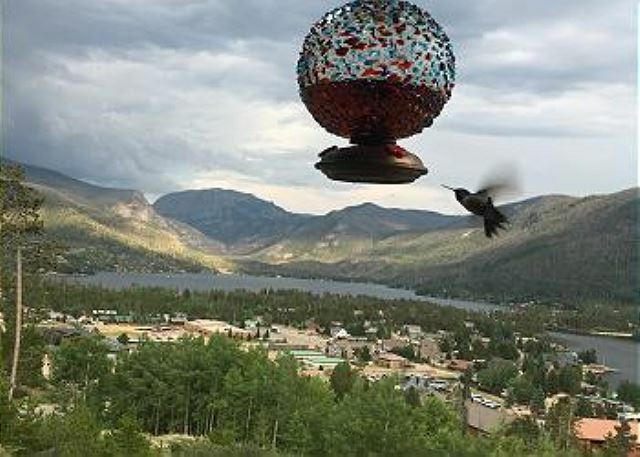 Baldy, Grand Lake, Shadow Mtn Lake, and the nearby Town of Grand Lake. 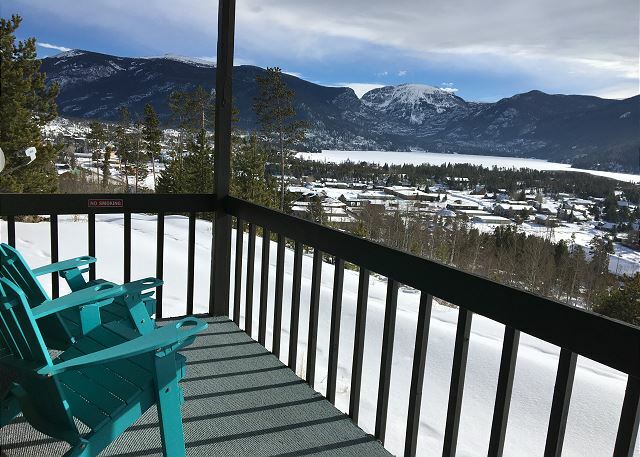 With scenery like this, you may never want to come inside, but when you do, you will be welcomed to a spectacular space styled with nearly all new furnishings. The main living area has an inviting common area with tons of seating centered around a rustic wood burning fireplace and accompanied with a large flat screen TV. The main couch in the living room folds out to a brand-new queen sized sleeper. The dining table is just off the kitchen and has seating for 6, in addition to the breakfast bar with 2 bar stools. The freshly updated kitchen has stainless steel appliances, tons of counter space and everything you’ll need to whip up your favorite meal! Just down the hall you’ll find 2 queen bedrooms with new mattresses, fresh linen, huge closets and one of the bedrooms has an attached half bath. 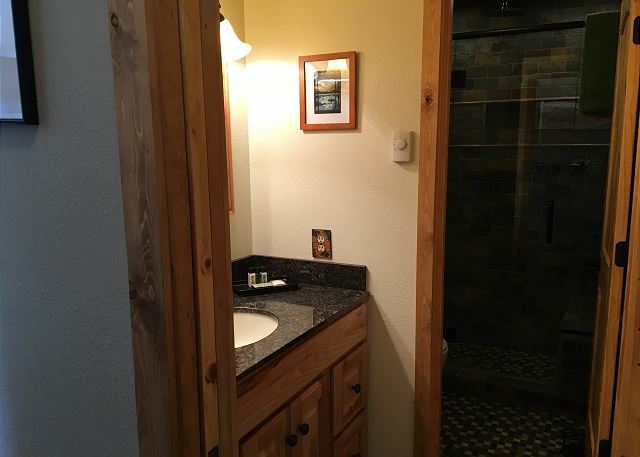 The main bathroom has a gorgeous stone and tile oversized glass shower with dual shower heads that will surely be the best way to relax after a long day on the lake or warm up after some snowmobiling! This home is also equipped with a washer and dryer, patio bbq grill, and assigned parking. 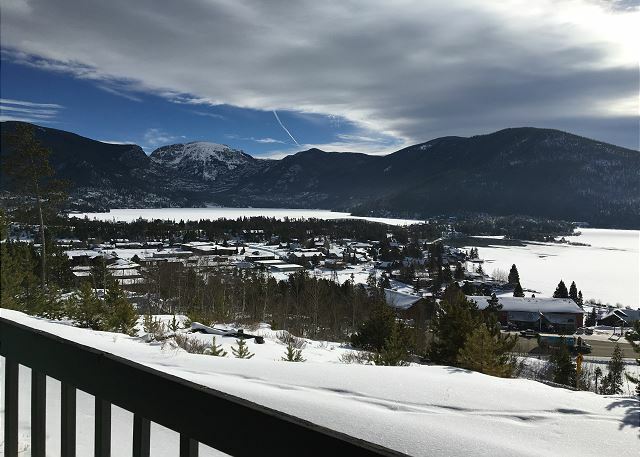 The town of Grand Lake is a short 10 min walk or a quick 3 min drive, and in the winter, this property backs up to some of the best snowmobiling trails in the area. 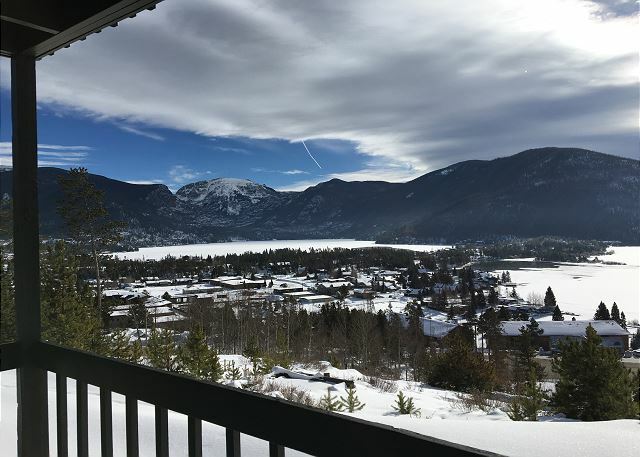 The Stargazer suite is a perfect mid-century modern condo, situated on the ridge above the entrance to Grand Lake and boasting the most premier views in the area. For both winter and summer, this property is the ideal setting for adventure seekers, nature lovers and those who just love to relax! We enjoyed our time at the Stargazer. It was clean and comfortable, with our course a great view and shower! We had a great weekend at the StarGazer, the place is done up so well! 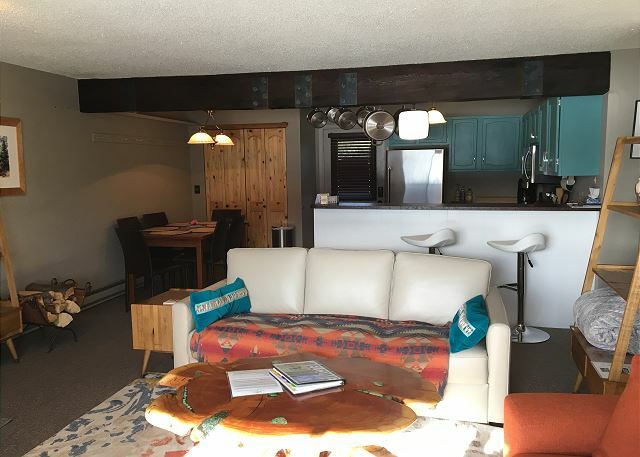 Lots of nice space, super cozy beds, great kitchen, and love all the artwork. And we made good use of the deck for grilling and catching the WinterFest fireworks and sunrise over Grand Lake! 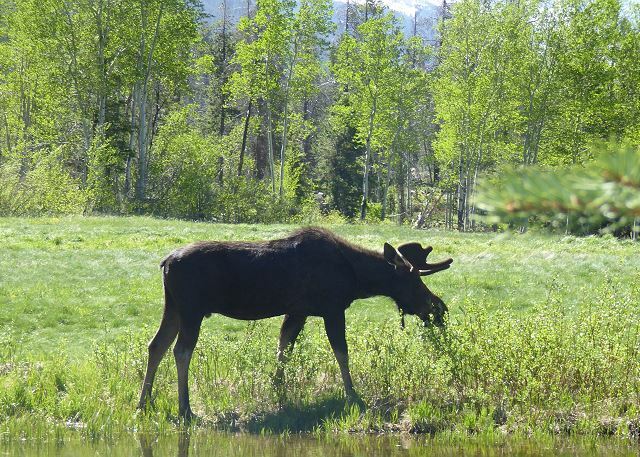 And such a great base for playing in Rocky Mountain National Park and Grand Lake! Such a great condo - the view is ahhhmazing. We enjoyed using the fireplace every night. Easy access to the condo was a great plus also! Thank you for letting us stay here, we’ll back back.